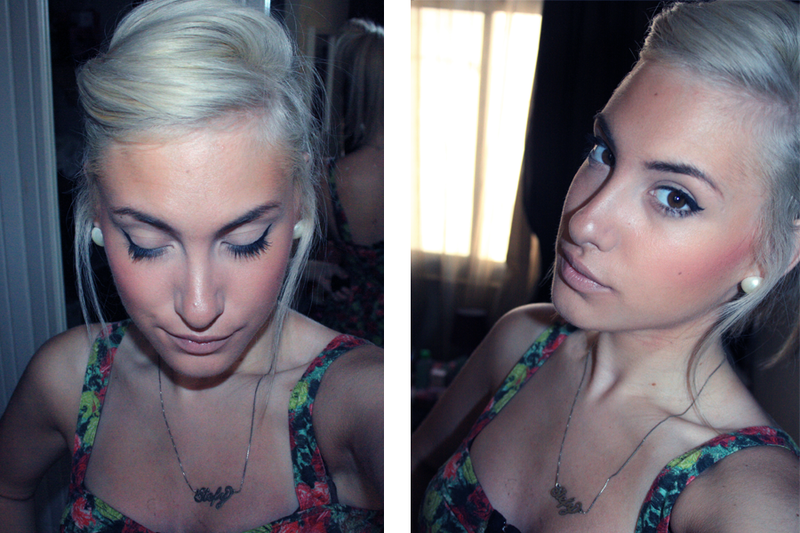 Today's Beauty Face of the Day is inspired by the simple winged liner i always see Lauren Conrad wear. I have always been a fan of LC since Laguna Beach. Her Simplistic look followed by her glam to her fantastic sense of style. My Hair, i did a fun twist using my bangs and put my hair up in a ponytail and topped it off with 'watch me simmer' by MAC, not seen in pics unfortunately. As most can see, my hair is getting whiter and whiter many thanks to my hairdresser, Deandra she has been doing an amazing job since September. On another note, the second picture says it all! My Cateye Glasses finally made it in the picture. Khloe Kardashian and Olivia Palermo inspired me to purchase these, i went for gradient color. They look amazing and they are definitely a staple in my accessory bin. HAVE YOU EVER BEEN INSPIRED BY ANYONE WHEN IT COMES TO MAKEUP? 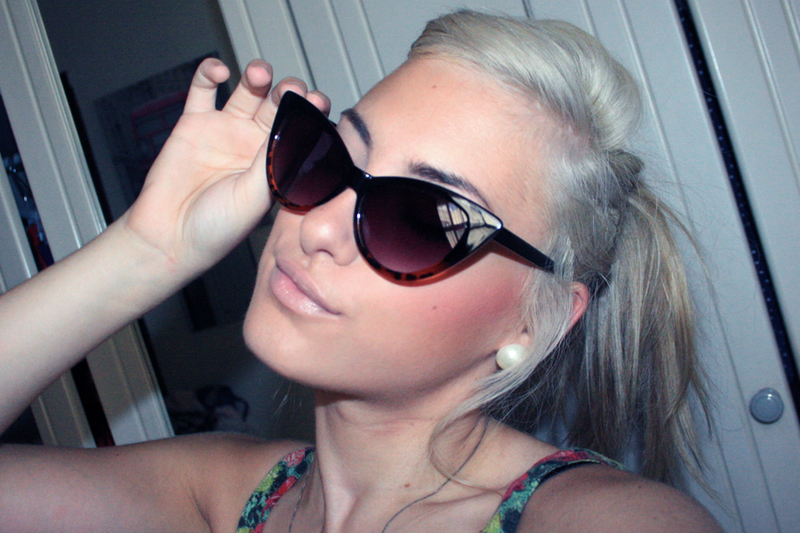 I just got on the cateye sunglasses bandwangon today actually :] love em! Ah welcome to the cateye fashion then! would love to see which ones you got! loooove the hair colour,you look gorg!! !